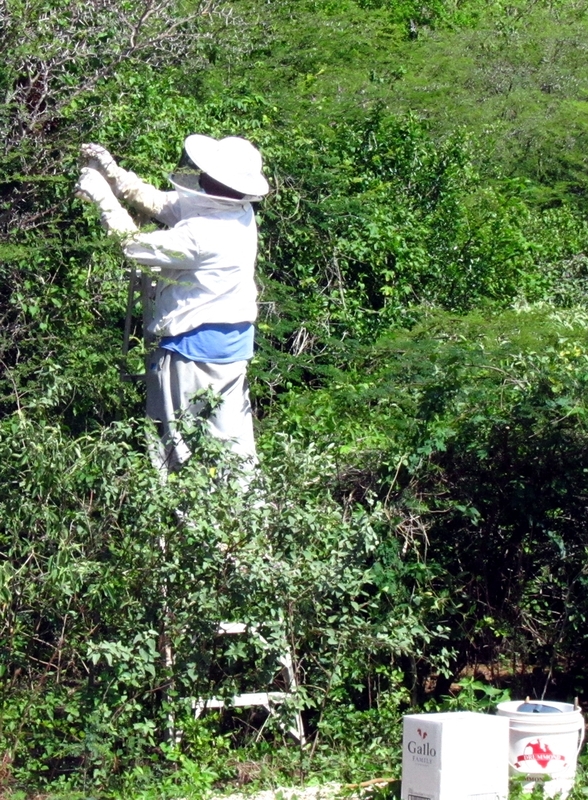 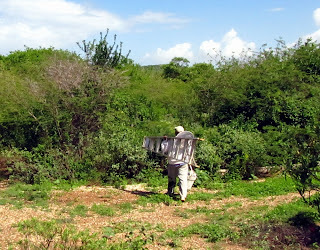 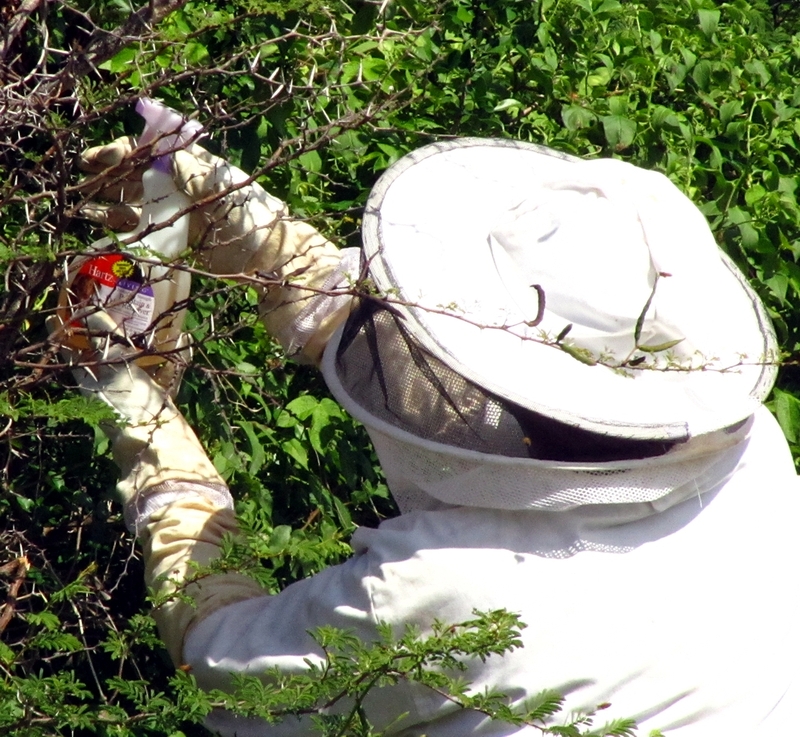 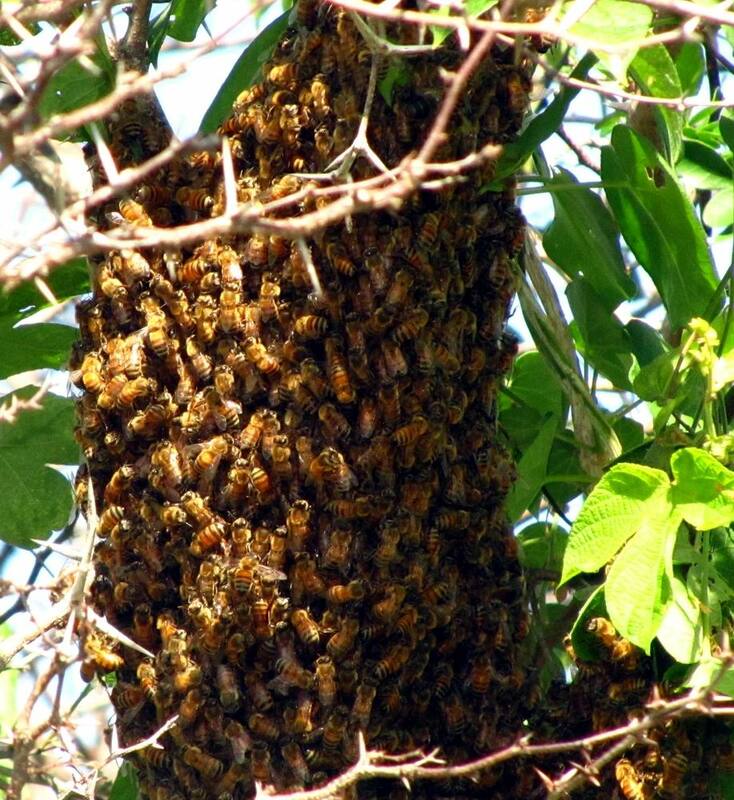 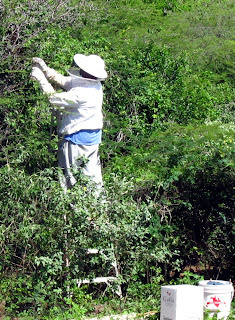 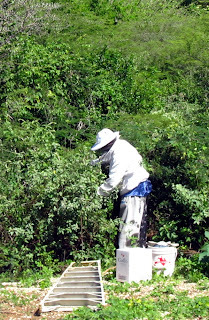 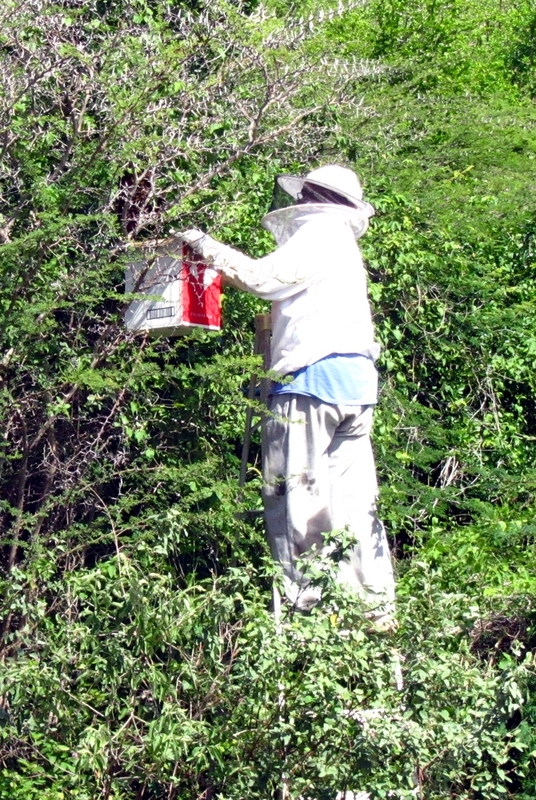 Hiking Curaçao - Flora and Fauna: Another queen with her own swarm of bees. 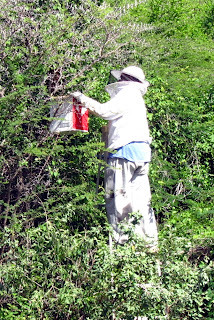 Spraying honey on the bees. 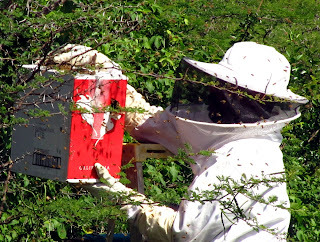 Catching the bees in a box.